i am such a creature of habit. as soon as the weather starts to get cold, all i want to cook and eat is old comfort food classics. it’s only november and i’ve already made my chicken pot pies twice, plus there’s one waiting for a rainy day in my freezer. i start to stock up my cupboards with beans, pasta and baking staples as if there is a chance my local grocery store is going to close down and leave my pantry bare. it’s such odd behavior, but i do it every year. maybe i was a pioneer in another life and was forced to eat canned creamed corn all winter to survive. who knows. the good news about my loony antics is that i’ve made so many recipes so many times that all the kinks have been worked out for your benefit. so don’t judge, just eat! 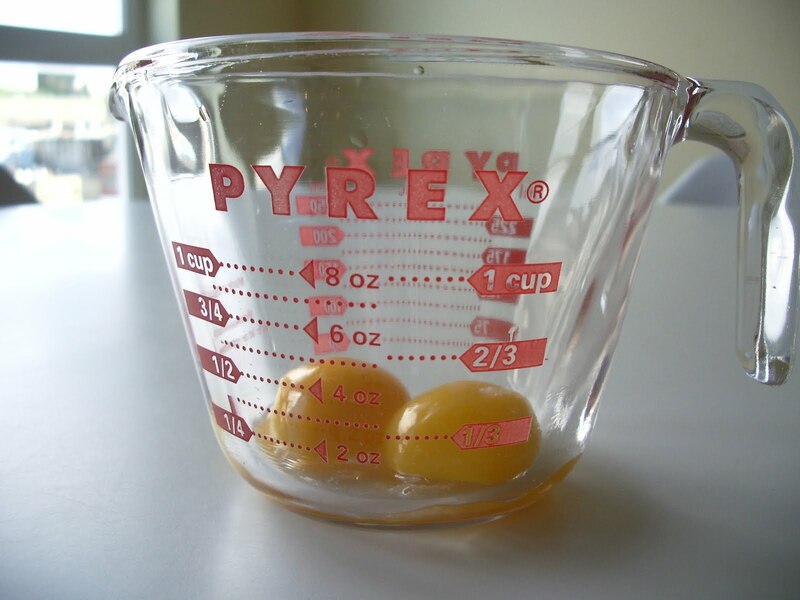 in a large sauce pan, melt the butter. add the pressed garlic and saute for just a minute. 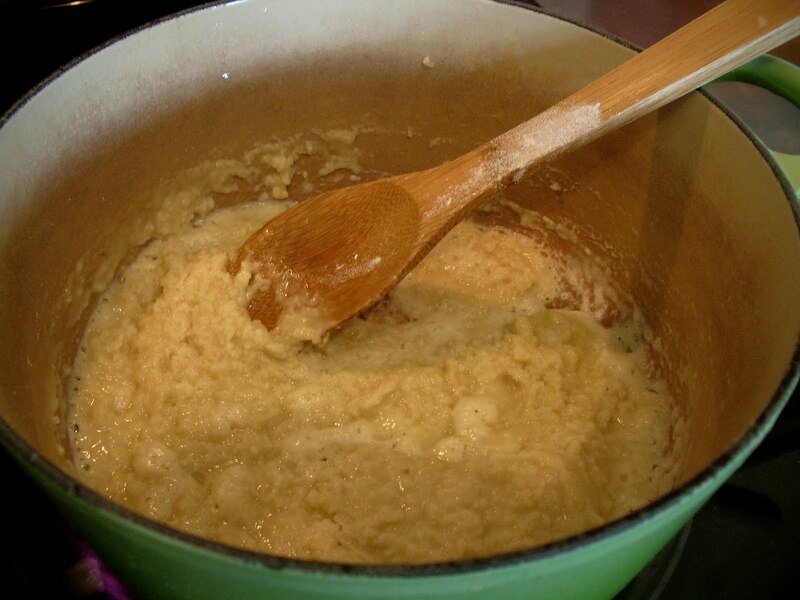 add the flour and cook until the roux is a light blond. 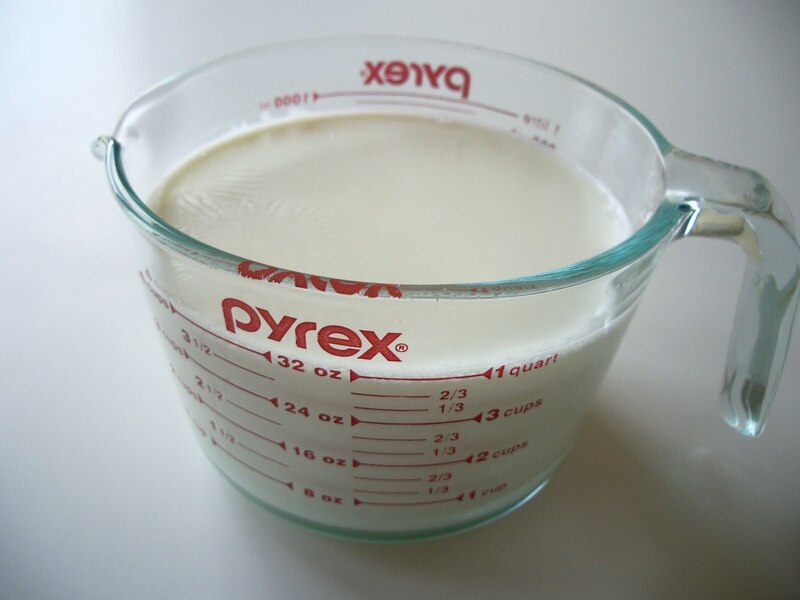 heat the milk and half & half in the microwave and slowly whisk into the roux. add the salt and pepper. cook until the sauce is nice and thick, about 5 minutes. 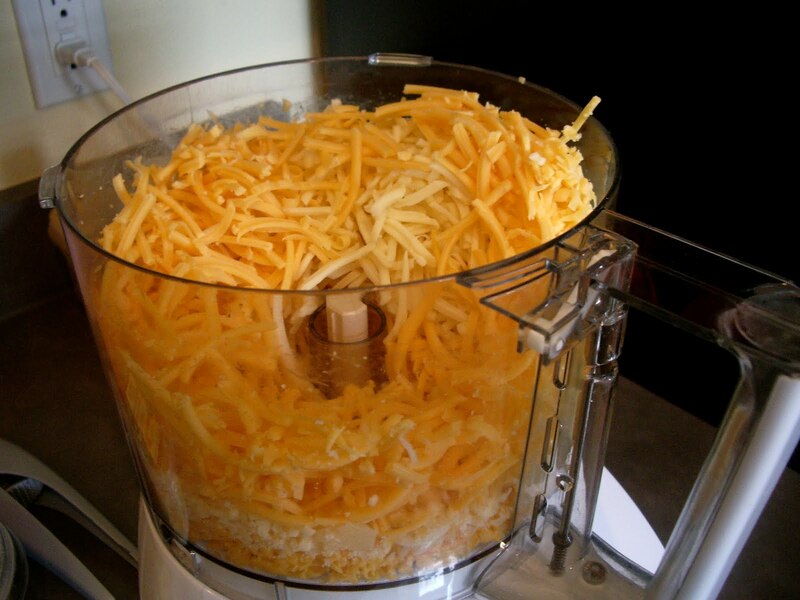 off the heat, add all the grated cheeses and stir until melted. 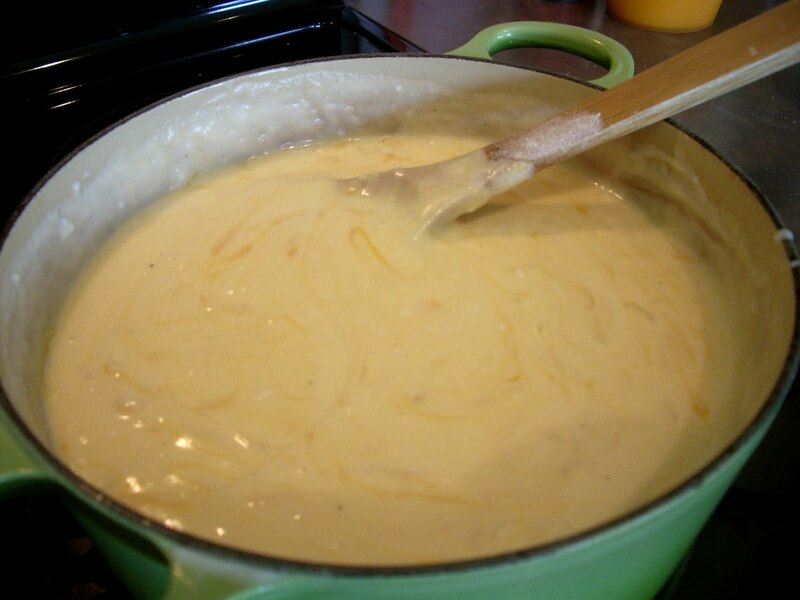 pour the cheese sauce over the cooked pasta. stir in the egg yolks (temper them so they don’t scramble) and the chopped herbs. 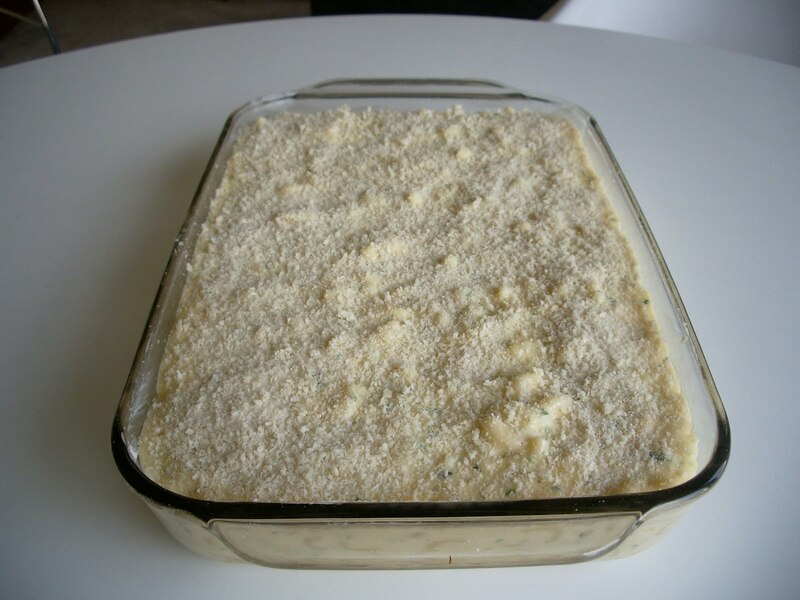 pour the mixture into a buttered 9×13 casserole dish and sprinkle with the breadcrumbs. bake for about 45 minutes or until the top is golden and the sauce is bubbling. 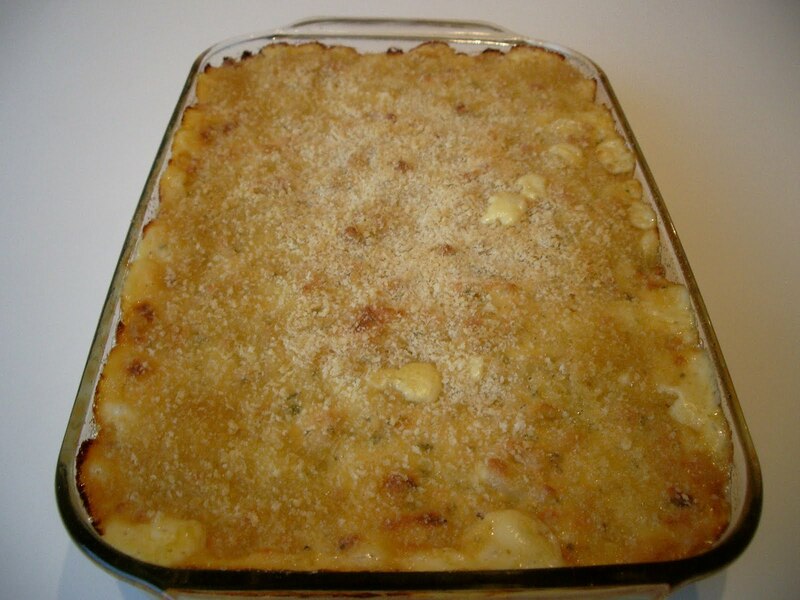 let the mac and cheese rest for about 15 minutes before serving. this recipe is easy and really quite delicious. the panko breadcrumbs make the perfect crunchy topping without competing with all the different cheeses. for a little variation you could add some crispy panchetta and trade the parmesan for some blue for a more “grown up” dish. cheese dishes don’t typically freeze well, but you could make this a day ahead and bake it off when you’re ready. happy eating! 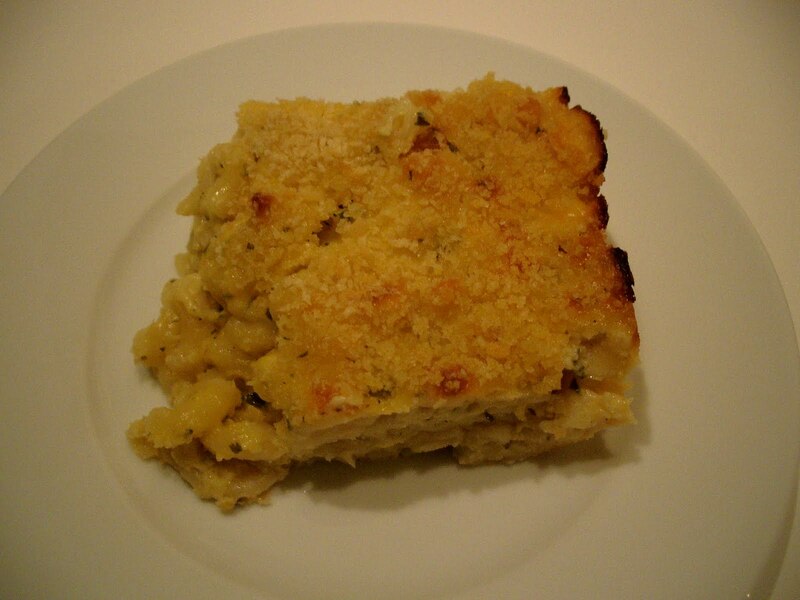 This entry was posted in cheese, Pasta, Recipes, side dishes. Bookmark the permalink.